Various community and industry members judged the student projects in January. Judging at the Houston fair will take place on February 22 and 23, with the awards ceremony happening on March 2. La Porte Junior High students are no strangers to the Houston event. 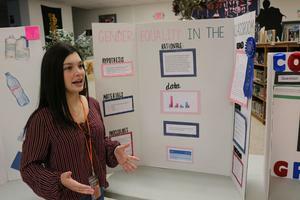 Sara Adnane, who was an eighth-grader at the time, took home the 2018 top prize and eventually won the statewide science fair. 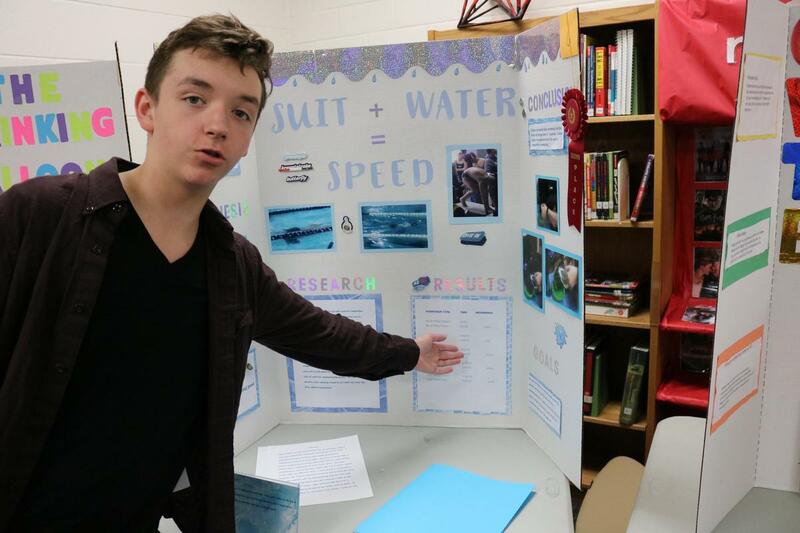 Veronica DeLeon and Shawn Oliphint are science teachers and the sponsors of the annual campus science fair. the Houston Science and Engineering Fair. 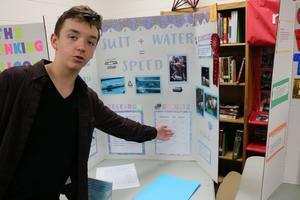 Second photo: Stephen Ward, eighth-grader at La Porte Junior presents his second-place physics project on Swimsuits and Water.